Canada’s under-18 national team defeated the U.S. under-18 national team 24-0 on Wednesday February 3, propelling Canada to a two game to one lead over Team USA, at the 2016 International Bowl series at AT&T Stadium, home of the Dallas Cowboys. With the win, Canada’s under-18 national team also extended their undefeated streak to four games, after defeating the U18 national team for the third straight year at the International Bowl series. On Sunday January 31, Canada’s U18 national team defeated the U.S. U19 Selects 31-13. Canada’s lone loss thus far in the series was at the hands of the USA Football’s U19 national team which defeated their Football Canada counterparts to open the event on January 31. Canada took an early 7-0 lead when receiver BRYAN OWUSU BEKOE (Mirabel, Que.) found the end zone on a 5-yard passing completion from quarterback, MASON NYHUS (Regina, Sask.). The major was sparked by the play of JEVANTE STANLEY (Brampton, Ont.). Canada added a 20-yard VINCENT BLANCHARD (St-Germain-de-Grantham, Que.) field goal, capitalizing on a muffed U.S. punt that saw Canada begin the drive at their opponent’s 38-yard line. Following the score, Canada’s defense continued to disrupt the U.S. offense, as a PIERRE-GABRIEL GERMAIN (Candiac, Que.) third down sack, forced a 4th down punt heading into the break. 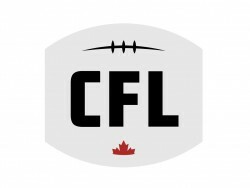 The Vieux Montreal linebacker helped anchor a strong Canada defense on Wednesday night, earning Canada’s player of the game honors after tallying 8 total tackles, 1 sack and 1.5 tackles for loss. Starting at their own 35-yard line, Team USA backed the Canada defense up to their own 4-yard line, led by the tandem of quarterback LINDELL STONE (University Park, Va.) and running back ENO BENJAMIN (Wylie, TX). Canada’s defense bent but did not break, forcing a 22-yard field goal attempt that hit the right upright to keep the U.S. off the score board. Canada extended its lead to 17, as JACOB IZQUIERDO (Calgary, Alta.) took a handoff 44-yards up the sideline for the major. Last year’s U18 game MVP for Canada, JEVANTE STANLEY (Brampton, Ont.) capped off the game as he found a crease in the U.S. defense, weaving 27-yards into the end zone, to make the final score 24-0. “It feels good [to score a touchdown] but it’s more about the team, we came together and we did a pretty amazing thing – we beat the U.S. again in their home and we jelled,” said the Brampton product. Having represented Canada on the U18 national team for a third time on Wednesday at AT&T Stadium, Stanley enjoys the experience this tournament provides. Canada’s defensive front played a large part in Wednesday night’s victory. DANIEL METCALFE (Kingsville, Ont.) added 10 total tackles and a half sack while J MIN PELLEY (Calgary, Alta.) notched 7 total tackles and 2 sacks. In Canada’s first game, Pelley was unable to participate due to injury but helped lead his nation this time around against the home side. The 2016 International Bowl series continues on Friday February 5 with a three games between provincial teams from Ontario and Alberta which will play against U.S. competition. For more information please visit www.footballcanada.com or www.internationalbowl.com.